The Zaporizhia International Airport serviced 96,624 passengers in January-March 2019, which is 17% more than during the same period in 2018, according to a posting on the company’s website. The number of passengers on international flights increased by 19.2%, to 69,790 people, and the number of passengers on domestic flights rose by 11.1%, to 26,860 people. The total number of passengers using services of the Zaporizhia Airport grew by more than 17.4%, to 35,800 people, in March. The number of passengers on international flights increased by more than 17%, to 25,330 people, and the number of passengers on domestic flights grew by 18.4%, to 10,480 people, in March. As reported, the Zaporizhia Airport serviced 400,300 passengers in 2018, which is 15% more than in 2017. The Zaporizhia International Airport was opened in 1945. It provides for take-off/landing on two runways (artificial and unpaved). Ukraine’s SkyUp airline will service flights from Zaporizhia to Barcelona and from Kharkiv to Barcelona, Larnaca, Rimini and Kutaisi, the airline has reported. Flights Zaporizhia-Barcelona and Kharkiv-Barcelona will be serviced from May 25, 2019 on Wednesdays and Saturdays, the price of one-way tickets without luggage starts from UAH 2,875 and UAH 3,025, respectively. Flights Kharkiv-Larnaca will be operated from May 30 on Thursdays, the price of one-way tickets starts from UAH 2,346. Flights Kharkiv-Rimini will be launched from June 2 on Sundays, the one-way ticket price starts from UAH 2,617, Kharkiv-Kutaisi – also from June 2 on Tuesdays and Fridays, with one-way tickets price starting from UAH 2,210. 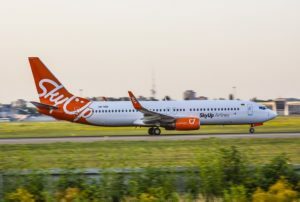 In October 2018, SkyUp received a Third Country Operators (TCO) certificate that allows flying to 28 countries of the European Union, as well as to Switzerland, Norway, Iceland, and Liechtenstein. SkyUp Airline LLC was registered in Kyiv in June 2016. The founder of SkyUp was ACS-Ukraine belonging to Tetiana Alba and Yuriy Alba, who also own JoinUp! tour operator. The Zaporizhia international airport in January and February 2019 serviced 60,800 passengers, which is 16.5% more than a year ago. The number of passengers on international flights over the period grew by 20.5%, to 44,400 passengers, and on domestic flights it rose by 7%, to 16,380. The number of flights did not change year-over-year, being 448. 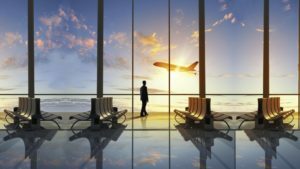 In February of this year, the total volume of passengers who used the services of the airport in Zaporizhia increased by more than 20%, from 24,800 passengers in February 2018, to 29,800 passengers. An increase of almost 22.5% was recorded in international destinations (up to 21,400 passengers), and on domestic routes by 15% (up to 8,400 passengers). 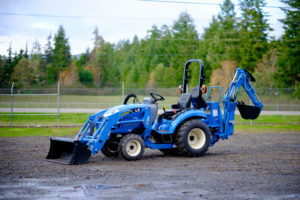 Zaporizhia Automobile Plant (ZAZ), part of the UkrAVTO Corporation, has started producing a pilot batch of LS Mtron tractors to study the process of production and demand, Spokesman of the Corporation Dmytro Skliarenko has said. “The creation of a joint venture with the manufacturer is not being discussed yet,” he told Interfax-Ukraine. The corporation does not disclose other details of the project. As reported, in autumn 2017, the UkrAVTO Corporation, the leading player on the Ukrainian automobile market, was studying consumer demand on tractors of South Korea’s LS, which has not yet been presented in Ukraine. UkrAVTO presented these tractors at the AGROEXPO 2017 exhibition held in Kropyvnytsky. The company said that this step looks completely logical and justified, since the agricultural sector begins to show upward pace and has a great potential and prospects for larger development. Later the distribution agreement with LS company was signed. LS is the exclusive supplier of tractors under the governmental agriculture development program in South Korea. According to experts, according to their characteristics, LS are direct competitors of the most popular MTZ Belarus tractors in Ukraine. UkrAVTO intends to stake in Ukraine on two models of LS tractors: V-series with a capacity of 70-80 hp and H-series with a capacity of 110-140 hp. The LS tractors’ price starts from $38,000, and the price of the most powerful is $70,000. At the same time, ZAZ, at present, amid the crisis in the automotive industry in Ukraine, has stopped the production of passenger cars. UkrAVTO was registered in 1992. It holds a controlling stake in CJSC ZAZ and Poland’s FSO. The corporation includes over 400 car servicing enterprises in all Ukrainian cities, distribution and dealer companies of the leading car brands and the filling station network. The Zaporizhia international airport serviced 400,300 passengers in 2018, which was 15% more than in 2017. “The airport has reached this indicator for the first time in more than past 25 years. Some 305,300 people were serviced on international flights, and almost 95,000 people on domestic flights,” the airport said on its website. During 2018, 3,260 sorties were flown from the airport. The most popular destinations last year were traditionally resort ones – Istanbul, Sharm el-Sheikh and Antalya. The Zaporizhia-Warsaw route launched in 2018, which is operated by the Polish airline LOT, was also in great demand. In December 2018, about 31,000 passengers took advantage of the airport services, of which 22,800 people on international lines, and almost 8,000 on domestic ones. Some 226 sorties were serviced: 125 of international airlines, and 111 of domestic ones. Passenger traffic of the airport in 2017 amounted to 348,400 people. (2% of the passenger traffic of the airports of Ukraine). The airport services 12 airlines. The municipal enterprise Zaporizhia International Airport was opened in 1945. It provides for take-off/landing on two runways (artificial and unpaved). The Zaporizhia international airport in September 2018 saw a 13% fall in passenger flow year-over-year, to 36,000 people. Director of the airport Viktor Biskupsky told Interfax-Ukraine that along with the seasonal decrease in activity, the reason for the decline in passenger traffic was the annulment of regular flights in Ukraine by Atlasjet Ukraine, the annulment of flights to Batumi and Tel-Aviv by Ukraine International Airlines (UIA), and the switch to lower capacity planes by airlines on domestic flights (in particular, by UIA). At the same time, he said that all domestic flights from Zaporizhia are fully filled. According to the information on the website of the Zaporizhia International Airport, on domestic flights the decline in passenger traffic was 23% (7,300 people), on international flights – 10.4% (2,400 people). In general, in January-September-2018, the passenger traffic at the Zaporizhia airport amounted to 297,500 people, almost 19% more than last year. On domestic flights, growth was 12.7% – to almost 71,000, on international flights – by 20.9%, to 226,600. The number of aircraft departures, according to the airport, amounted to 2,434 and increased by 16.5% over the same period last year.